Looking for something useful, yet gorgeous and unique, with which to decorate your home! We have something for you! 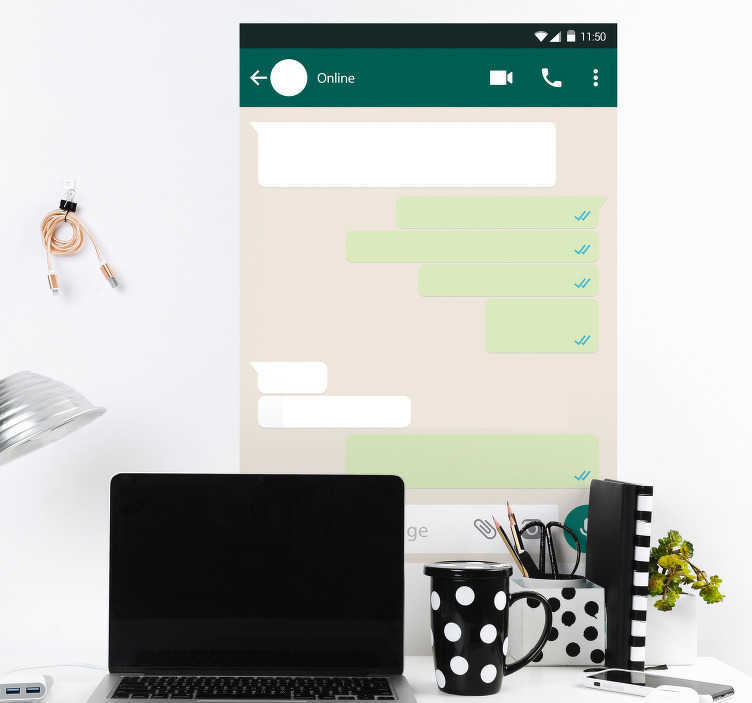 This WhatsApp themed whiteboard sticker might just be the one for you! Depicts a classic WhatsApp format, with the messages to be filled in by yourself! What are you waiting for? Add this WhatsApp sticker to your walls now!